Each jukebox arrives with 2 cordless microphones, a 300 Watt speaker system, interactive LED lighting and a smoke machine. Delivery, Installation and collection all included in the price. There is absolutely nothing extra to pay. 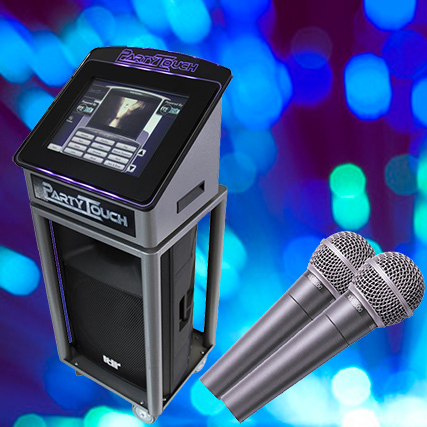 With a Cool Sounds digital touch screen juke box you can be sure there is music for everyone. All of our jukeboxes are updated on a monthly basis. With music from the 1950’s to current chart and Karaoke your party will come alive.